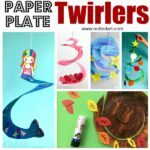 If you love CHRISTMAS TREE Crafts.. you HAVE to check out our full collection of Christmas Tree Crafts for Kids. 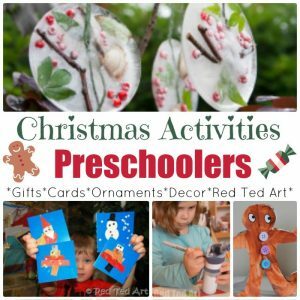 We also have many great “general” Christmas Crafts for Preschoolers that I think you will love! 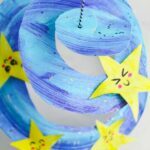 As mentioned, you could also use photos to make your paper baubles or you could make 3D Paper Baubles – make this as simple or as “extended” as you like. 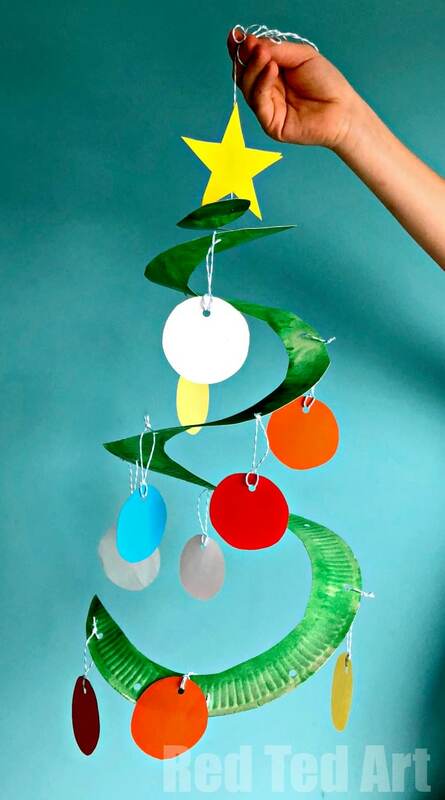 If your baubles take longer to make, then these Christmas Tree Whirligigs make great collaborative projects too – get a team of kids in the classroom or a siblings to work together. 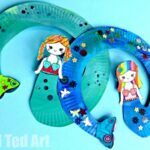 We have another short and sweet Whirligig video for you to watch.. but again have Step by Step Twirler instructions (with photos) below! Choose which ever method you prefer! 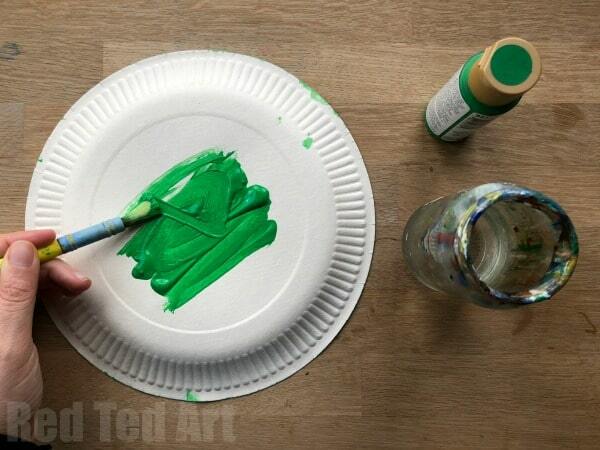 Paint your paper plate a lovely Christmas Tree green. Let it dry and paint the reverse side. 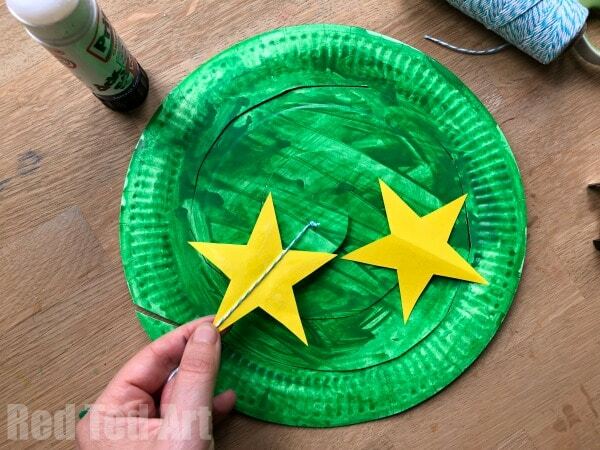 Whilst waiting for the paper plate to dry, you can start cutting out some cirlces for baubles and 2 paper stars. 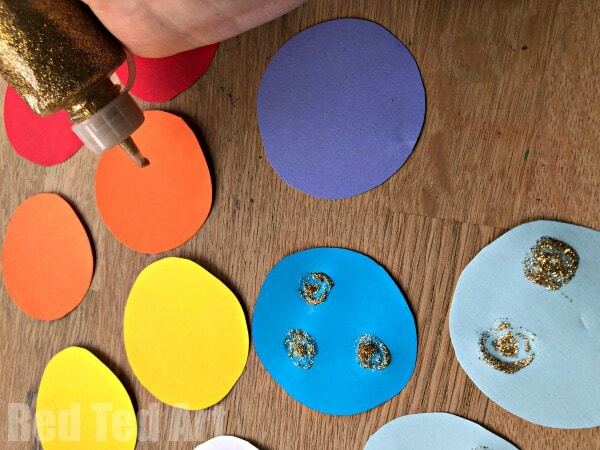 We cut out about 12 Baubles and I think used 9 of them… decorate if you wish! 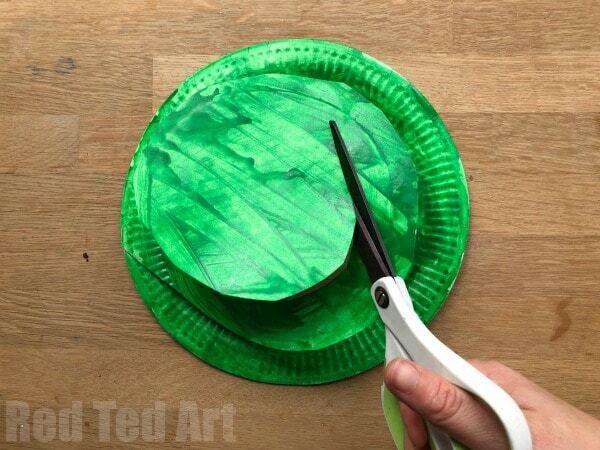 Once your paper plate is dry, get your scissors and cute a spiral into your Paper Plate to make the Christmas Tree Twirler. It should look a bit like a snail. 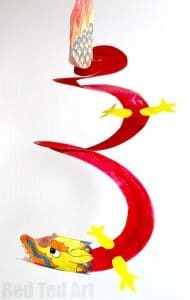 NOTE: the thicker your snail twirls the more compact your Christmas tree will be.. the thinner.. the more “elongated” it will be. It is a style preference! Take a piece of string and tie a knot one end. 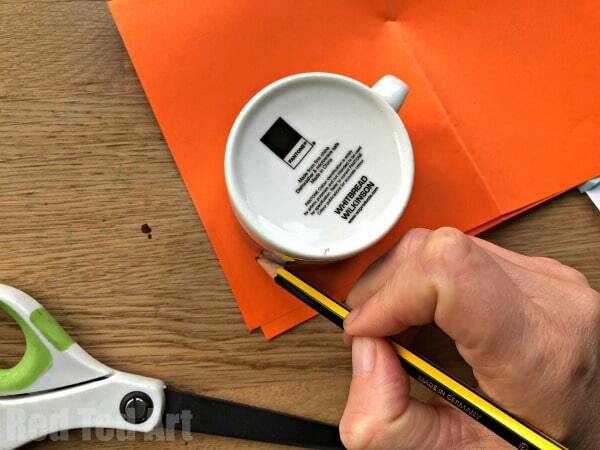 Then staple it into place. 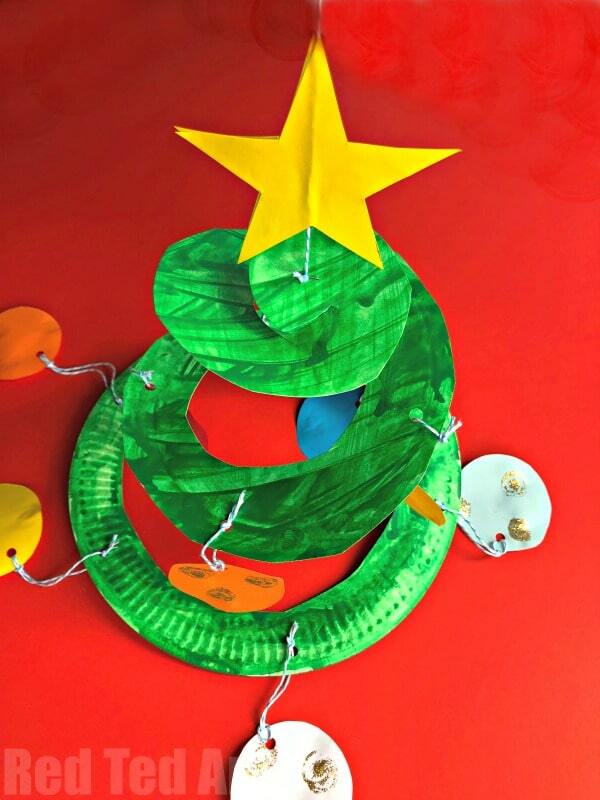 Next you glue your paper star to the top of your tree – make the string stick between the 2 stars. 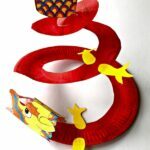 Now comes the fun bit (actually, all of it is fun). 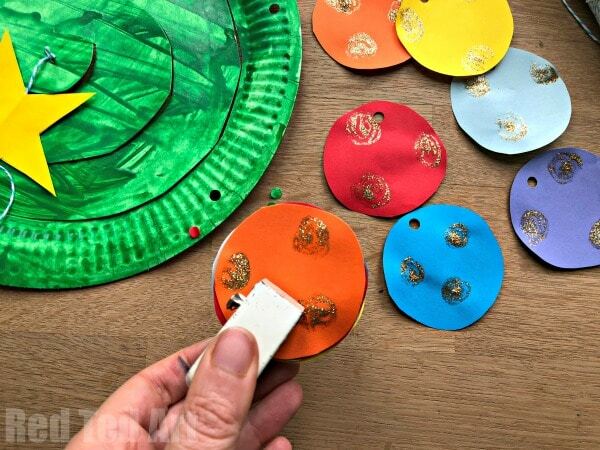 Take your hole punch and make holes into your baubles and into your Christmas Tree Paper Plate. 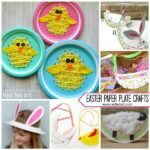 On the paper plate, try and spread them out evenly.. but to be honest, we sort of added them as we went along… and then ended up skipping some holes. 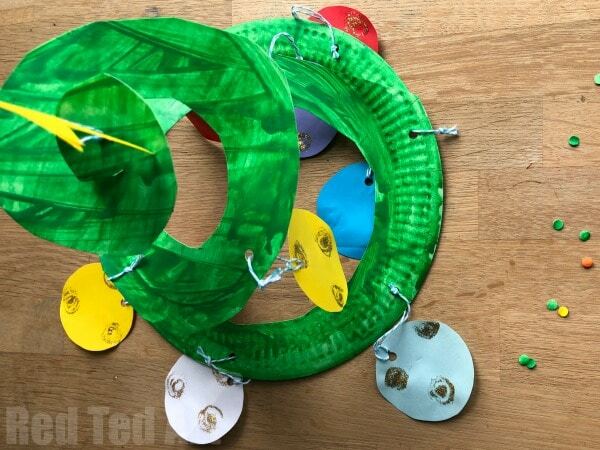 Again… it is really a matter of preference as to how many “baubles” you would like to add to your Tree Twirler! 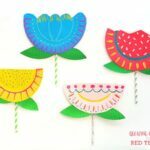 Tie on each bauble with a peice of string. 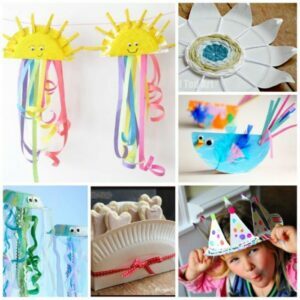 Now this can be great fine motor skills for younger kids. 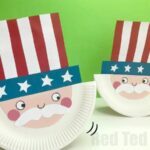 They can thread the string and you can knot it onto the tree for them. 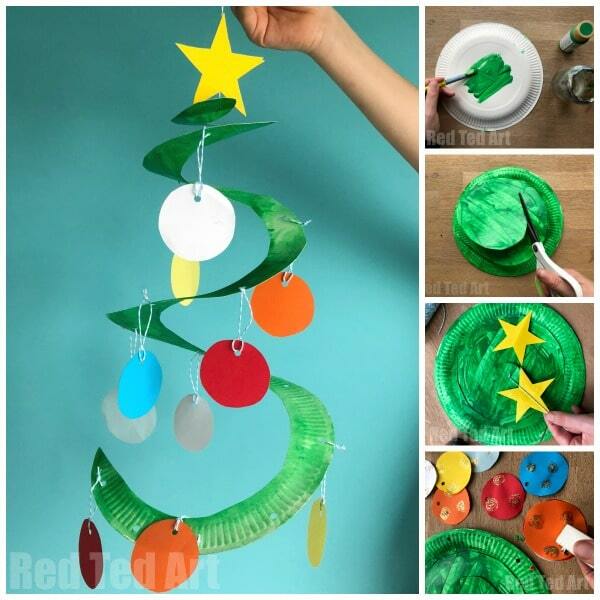 And your easy peasy Paper Plate Christmas Tree Whirligig is FINISHED!! 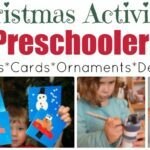 Want more Christmas Crafts for Preschoolers? Look no further!